The 2006 Nobel Prize for physics has been awarded to Americans John C. Mather and George F. Smoot for their work on NASA's 1989 Cosmic Background Explorer (COBE) satellite. 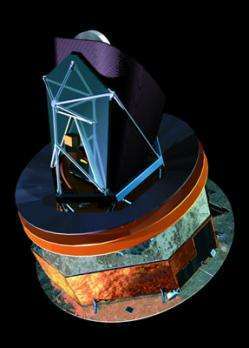 In 2008, ESA's Planck satellite will be launched and will build on this award-winning legacy by showing cosmologists new details of the Universe's origins. COBE cemented the Big Bang theory of the Universe's origins but it could not answer every question. In some ways, it raised more than it answered, leaving cosmologists hungry to explore the details of how the Universe began. ESA's Planck satellite will help answer these questions. 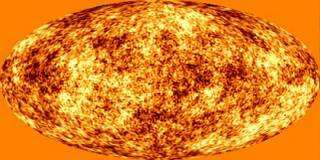 As COBE did, Planck will look back to the dawn of time and observe the most ancient radiation in the Universe: the cosmic microwave background (CMB). Planck will do so with the most sensitive instruments ever brought to bear on this ancient radiation from space, the best place from which to make such observations. "The Nobel committee's recognition of Mather and Smoot reinforces the fundamental importance of research into the microwave background radiation. With Planck, ESA looks forward to taking this research to a new level of detail," says Jan Tauber, Planck Project Scientist. Whereas COBE convincingly confirmed that the Universe was born out of superheated primordial gas, Planck will look to understand the fundamental structure and components of the infant Universe, and for the details of how giant clusters of galaxies, and even individual galaxies, formed out of the initial fireball. Building on the legacy of COBE, and NASA's follow-on mission WMAP, Planck will also investigate whether the Universe suffered a period of sudden exponential expansion, termed Inflation, shortly after the Big Bang. It will do this by surveying the whole sky, looking for subtle temperature variations in the CMB from place to place. The temperature variations betray regions of different density in the early Universe. High-density regions eventually became the galaxies and clusters of galaxies we see in the Universe today. To achieve its goals, Planck has been designed to have ten times better instantaneous sensitivity and more than fifty times the angular resolution of COBE; these quantities taken together make Planck about one thousand times more powerful than COBE.